Temporary boost the amount of concurrent users – in case the current user has boost permissions and the instance is not using express license. Kick another user who is already logged in – in case the current user has kick permissions. 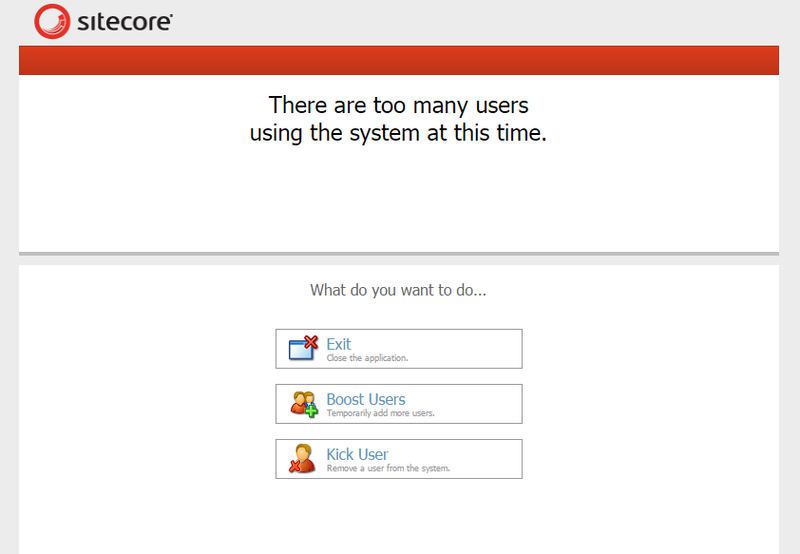 Boosting will take the user to http://sitecore.net page from where he can temporarily increase the number of users who can be simultaneously logged in the system. Kicking will take the current user to the following page. The page lists the currently logged in users. The time they logged in and the Last Request Time is shown as well. From here the current user can decide if he wants to kick any of the currently logged in users. 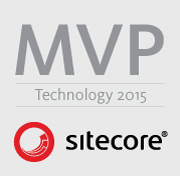 The nice part is that this page can also be accessed directly even if the Sitecore instance is not over capacity. The page can be accessed from here: http://[SITECORE_INSTANCE_URL]/sitecore/shell/Applications/Login/Users/Kick.aspx and comes in handy when the instance becomes slower from the many idle users that forgot to logout. If you need non-administrators to be able to kick any user (even administrators), you can set the setting “AllowLogoutOfAllUsers” to “true”.